Want to learn more about LBI real estate? We have a program, or two, for you! ‘Sales Tour’ Monday – Our ‘Picks of the Week’! Pick your Neighborhood, Pick your time. Drive by and experience our various neighborhoods and pricing. Custom tours also available with 24 hours notice, click here. 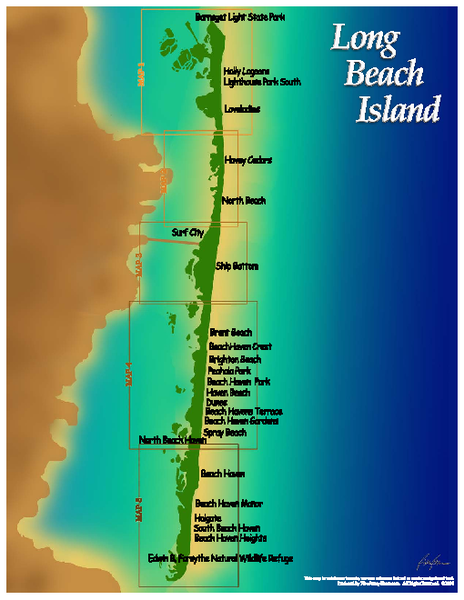 Not sure whether Spray Beach is before Peahala Park, here is a map to help you get your bearings. 1601 N Bay Ave, North Beach Haven- Come on by and see Chris from 9-1pm and Sam from 1-5pm. 52F, Loveladies- Come on by and see Joann from 1-4pm. Check below for Open Houses on other days this week! ‘LBI Seminar’ Wednesday – Well received overview of the LBI sales and rental market. Chock full of information and latest market stats. Starts at 3pm and reservations are recommended; call 609-494-1130 or sign up here which also has more information about the Seminar. ‘Last Chance’ Friday – Your last full day? Hit the Beach and enjoy your final day on LBI! Remember: We can help turn this summer’s memories into new ones each year by finding you the perfect beach house on LBI.